10 Best Kodi Boxes of 2019 - Use The Right Media Streamer for Kodi! 10 Best Kodi Boxes of 2019 - Use The Right Media Streamer for Kodi! Kodi boxes have come a long way during the last couple of years. Today, these media streaming devices can store your entire media collection, in addition to providing an endless media library via Kodi addons. 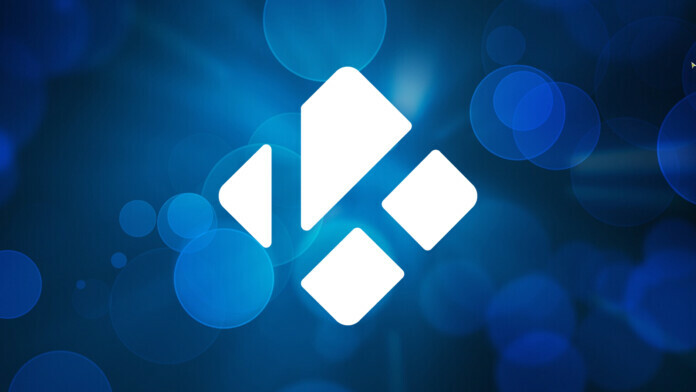 The only question is – what’s the best Kodi box right now? Which ones provide the best value for their price? To answer all your questions, we’ve done extensive research. We’ve prepared a series of popular Kodi boxes suitable for different budgets and needs. And as you can expect, all of the following devices can run Kodi natively – even the recently released v18 Leia. This means that you can take full advantage of Kodi and use this application with no limits. Without any further ado, here are the top 10 best Kodi boxes in 2019. Processor & RAM: Quad-Core 1.3 GHz / 2GB. Video Resolution: Up to 1080p (HD). Advanced Features: Alexa remote included; Free cloud storage; Dolby Audio 5.1; Bluetooth 4.1 + LE; Playback up to 60fps. Dimensions: 3.4 x 1.2 x 0.5 in. Amazon Fire TV Stick is a pocket-sized streamer and at the same time a heavy-weight champion of all the Kodi streaming devices in 2019. With the $39.99 price tag (often discounted to $29.99), the Amazon Fire TV Stick tops this list and also has topped numerous lists in the past. Undoubtedly, this device is the most popular streaming device in the Kodi community. The latest Fire TV Stick is even better and more functional compared to the other devices in the same price range. We can’t neglect the fact that all its amazing features come under such a dirt-cheap price tag. Here’s an interesting fact – the latest version of this media streamer is 30% faster than the older one, according to its official website. This new version also includes built-in Alexa support, which can be used to interact with Fire OS. However, if you’re buying this product, needless to say, accessing Kodi is only one of its numerous great options. Even though Kodi is available for Fire OS devices, it isn’t featured on the Amazon App Store. One needs to separately sideload it and then install it. If you face any problem during its installation – you can refer to our quick guide to installing Kodi on Fire Stick. PROS: Access to hundreds of apps; Polished UI; Travel-friendly. CONS: Only HD playbacks (no 4K); Kodi needs to be sideloaded. Processor & RAM: Quad-Core 1.7 GHz / 2GB. Video Resolution: Up to 4K. Advanced Features: Powered by Amazon Alexa; Dolby Atmos, 7.1 surround sound; HDR10+ support; VoiceView screen reader. Dimensions: 1.4 x 5.5 x 0.6 in. Here is a bigger brother of Amazon Fire TV Stick, which could take you for a 4K ride at an affordable price. For users who love to watch 4K content on Kodi, the Amazon Fire TV 4K is the best Kodi box to buy right now. The Amazon Fire TV Stick 4K, undoubtedly, is a prime choice for Kodi users. It’s an excellent proof of a product which gives more than what you pay for. Commercially designed for Amazon Prime Video and Netflix, this media player supports services in 4K with HDR. With that said, its capability to play Ultra HD content is worth the mention, which also means that the Fire TV 4K will smoothly stream Kodi and its 4K sources. Like its smaller brother, Fire TV 4K also doesn’t feature Kodi in its App Store. One must sideload Kodi to install it. It’s not an overly complicated process, but you can use our quick guide, mentioned in the previous point. Here too, you’ll get the extra perks of Alexa and Voice command supporting remote. PROS: 4K playback; Powered by Fire OS (thousands of apps available); Easy setup. CONS: Kodi needs to be sideloaded. Processor & RAM: Quad-Core 1.5 GHz / 2GB. Advanced Features: Built-in speaker (for Alexa); Dolby Atmos (7.1); HDR10 support; Far-field voice support. Dimensions: 3.4 x 3.4 x 3.0 in. In case you need something more powerful, Amazon has come up with a solution. Called Fire TV Cube, this is perhaps the most powerful media streaming device made by this company, and as such – it presents a wide array of features designed for advanced users. Powered by Fire OS, Fire TV Cube comes with access to thousands of apps. You can use pretty much any popular media streaming service, and of course, there’s Kodi as well. Fire TV Cube lets you stream in 4K UHD and up to 60fps. There’s HDR (High Dynamic Range) and Dolby Atmos support. And let’s not forget to say that it’s compatible with any TV, cable or satellite set-top box, sound bar, and A/V receiver. Finally, Fire TV Cube is powered by Alexa, Amazon’s digital assistant. You can set this device to be the central piece of your smart home system, which lets you use Alexa to play media files and control other devices, all at the same time. PROS: The most powerful FireOS device; Runs Kodi with no issues; 4K, 60fps playback; Acts as a media hub. CONS: Not travel-friendly; Kodi needs to be sideloaded. Platform: Windows 10 (for Xbox). Processor & RAM: 8-Core 1.75 GHz / 8GB. Advanced Features: Dolby Atmos; DTS:X support; HDR support; Spatial sound system; Huge app ecosystem; Native Kodi support. Dimensions: 11.8 x 9.4 x 2.3 in. You might be surprised to see Microsoft’s Xbox on this list. However, there’s a good reason why you might want to consider getting a gaming console – the latest Xbox One generation comes with full Kodi support. This means that you can install Kodi on Xbox One in a matter of seconds. You already know that Xbox One lets you play the latest games in 1080p HD resolution. However, let’s not forget that this device is one of the best media streamers out there. First of all, it lets you stream 4K content, supports 4K Blu-Ray discs, and comes with Spatial Audio (Dolby Atmos and DTS:X). In case your TV supports HDR, you can take full advantage of that option by using Xbox One. All in all, we do believe that Xbox One is one of the best Kodi boxes in 2019. If you’re on a tight budget, you might want to check for periodic sales – as Microsoft is known for offering heavy discounts several times a year. PROS: Powered by Windows 10; Native Kodi support; Frequent software updates; Access to hundreds of media streaming apps; Gaming platform. CONS: Gaming controller input only (officially). Processor & RAM: Tegra X1 CPU / 3GB. Advanced Features: Dolby Atmos; DTS-X surrounds sound over HDMI; Expandable storage; Google Assistant support. Dimensions: 6.0 x 1.0 x 4.0 in. With Amazon’s latest upgrade to its Fire streaming devices, Nvidia Shield might look a bit faded. However, this device is capable enough to stream all types of 4K content from all the premium services like Amazon Prime Video and Netflix. Not to forget its super strong Geforce NOW that can smoothly run an array of video games. Running Android TV (with frequently published updates), the Nvidia Shield TV has an easy procedure to configure Kodi. The Google Play store features the latest Kodi app that you can voice search via its remote, and install Kodi on the device without ever typing anything on the screen. It’s just like installing Kodi on any Android device. Its strong processor hates waiting time. From installing Kodi to recovering from standby, it takes about a minute, which is super impressive. This device’s performance is exceptional and streams 4K and 1080p content with ease. It features a built-in 802.11ac Wi-Fi and an Ethernet port for weaker Wi-Fi connections. For more information, read our full Nvidia Shield TV review. PROS: Powered by Android TV; Native Kodi support; Great for gaming; Google Assistant includes; Fast access to the latest Kodi updates. CONS: Not the most affordable price. Processor & RAM: Intel Celeron / 4GB. Advanced Features: Powered by ChromeOS; Full support for Google Play; Native Kodi support; Supports dual displays. Dimensions: 5.8 x 1.5 x 5.8 in. It’s astonishing to notice that Asus Chromebox struggles with its market placement and pricing, for what it has on offer. It is a great device, no doubt and it can be said that this is one of the most underappreciated products in the Kodi community, even after its consistent positive mentions in the Kodi forums and Kodi wiki. The device runs Chrome OS and has a very simple procedure to install Kodi. It features an Intel Celeron 3865U CPU with 4GB of RAM and 32GB SSD drive. It has 2 USB ports to connect external hard drives and peripherals. It’s supported by Bluetooth 4.0, and also features Wi-Fi and Ethernet connectivity. Now, here comes its mega feature — 7.1 Dolby Digital, which can fill up a room of any size, even a hall. We are sure of the potential of this device and hopeful for its future. We are positive this device will improve its ranking on our next Best Kodi Boxes list. PROS: Powered by ChromeOS; Easy to get started with; Incredibly powerful in terms of features; Acts as a media hub for your entire family. CONS: Not the smallest media streaming device; Kodi needs to be sideloaded. Platform: Linux-based; Windows 10 IoT Core. Processor & RAM: Quad-Core 1.4 GHz / 1GB. Video Resolution: Up to 1080p. Dimensions: 9.6 x 6.3 x 2.3 in. One of the best things about Kodi boxes is that they come ready out of the box. You set them up, power them on, and you’re ready to import your media collection. However, would you be interested in assembling your own Kodi box? If that’s something that you find interesting, we’d like to highlight this Raspberry Pi 3 starter kit. As noted in our article on installing Kodi on Raspberry Pi, you are free to pick your components. You get to choose from different motherboards, cases, memory cards, and plenty more. However, if you don’t want to buy piece by piece, CanaKit has prepared an affordable option. In this package, you get a Raspberry Pi 3 Model B board, 32GB memory card, premium Raspberry Pi case, USB power supply, and everything else you need to create your own Kodi box. Lastly, we’d like to say that this project is an easy one – so don’t think that you need to be a hacker to get into all this. In fact, we’re pretty sure you’re going to love it all the way through. PROS: Educational and interactive; Plenty of options for installing Kodi; Fast performance; Easy to fine-tune. CONS: You have to assemble it yourself. Processor & RAM: Quad-Core / 2GB. Advanced Features: 4K/H.265 video encoding; 2.4 GHz Wi-Fi signal; Bluetooth 4.0; Access to the Play Store. Dimensions: 4.0 x 4.0 x 0.7 in. Latest but not least, we have the newest generation of GooBang Doo’s ABOX streamer. The new generation is now powered by a faster processor, capable of playing 4K video at 60 frames per second. Powered by Android 7.2, this small plastic box hides plenty of different options when it comes to media streaming. One of the flagship features of this device is its image processing. The company selling the ABOX streamer says that the device is powered by Cortex A53 processor. This means that you can enjoy 4K streaming, including the support for HDR10. However, you will need a compatible TV to make sure you’re using all these options. Needless to say, you can install Kodi without any problems. Add a bunch of your favorite addons, and you’ll have the perfect media streamer. If you can find your favorite movie on Kodi, this device can help you supporting numerous official Android apps for popular streaming services. PROS: Incredibly powerful specs; Full 4K and HDR support; Play Store apps; Native Kodi support; Bluetooth connectivity. CONS: Not the most recognizable brand (still high-rated, nonetheless). Advanced Features: Access to the Play Store; Hundreds of apps; Native Kodi support; Portability; Supports AirPlay and Miracast. Dimensions: 3.5 x 0.4 x 3.5 in. Upon the latest revision of this article, we’ve felt compelled to include this option on our list of the best Kodi boxes. Dolamee’s D3 media streamer is one of the hottest products on Amazon right now, with stellar reviews and highly promising features. And of course, you can install and Kodi on this device with no limitations. First of all, you should know that this is an Android TV box. It’s powered by a quad-core GPU, 2GB of RAM, and 16GB of disk storage. You get full benefits of using Android 7.1, which gives you access to thousands of apps. And of course, you can stream 4K video files with ease. Since Dolamee D3 comes with Bluetooth 4.0, you have a nice range of peripherals. You can connect Bluetooth keyboards or headsets, giving you plenty of options for enjoying your movies. PROS: Reputable brand; Incredibly fast CPU; Plays 4K videos with ease; Native Kodi support; Full Android TV experience. Dimensions: 6.7 x 5.0 x 2.0 in. During the last couple of years, Mi has managed to continuously bring interesting devices to the market. This Chinese company went very far from its early beginnings and today features smartphones, all kinds of smart devices, and TVs as well. Among those products, the Mi Box stands out. This is a set-top box powered by Android TV. As such, it provides access to hundreds of applications and Kodi is one of those. Even though it doesn’t come with Kodi preloaded, you can install it in a matter of minutes. From there on, it’s nothing but enjoyment. You can also install Android apps of popular media streaming services, which makes Mi Box a very interesting option for every cord-cutter. Finally, you should know that Mi Box comes with HDMI 2.0 port. In other words, it lets you stream and play 4K Ultra HD and HDR video content. Those looking to try out Android games can opt for a game controller and turn Mi Box into a very capable gaming console. PROS: A nicely designed body; Voice-activated remote; Full 4K experience; Native Kodi support; Plenty of apps and games. CONS: Relatively rare software updates. Still confused? Use our comment section to let us know of any difficulty that you face in picking your next streaming device for 2019. Don’t forget to share this article online, and also follow TechNadu on Facebook and Twitter. Thanks!